The Pumpkin Martini has long been a favorite cocktail for fall and there are a number of ways to make one. 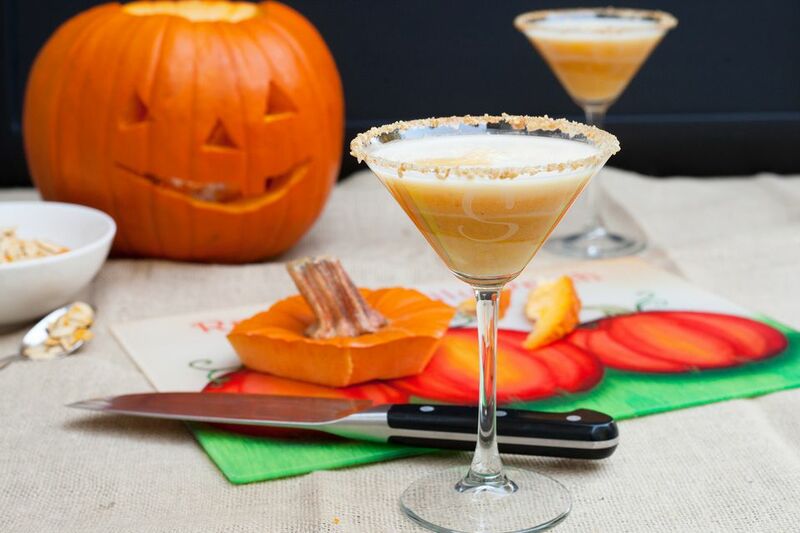 This is a simple recipe that uses vanilla vodka with cream and pumpkin liqueurs. There are a number of pumpkin liqueurs available that rotate in and out seasonally. If you cannot find one, use a pumpkin spice syrup or pumpkin puree as a substitute. You might also want to check out: Pumpkin Spice Martini, Spiced Pumpkin Martini, or the Calabatini. Pour the cream liqueur and vodka into a cocktail shaker filled with ice. Add the pumpkin liqueur or syrup.